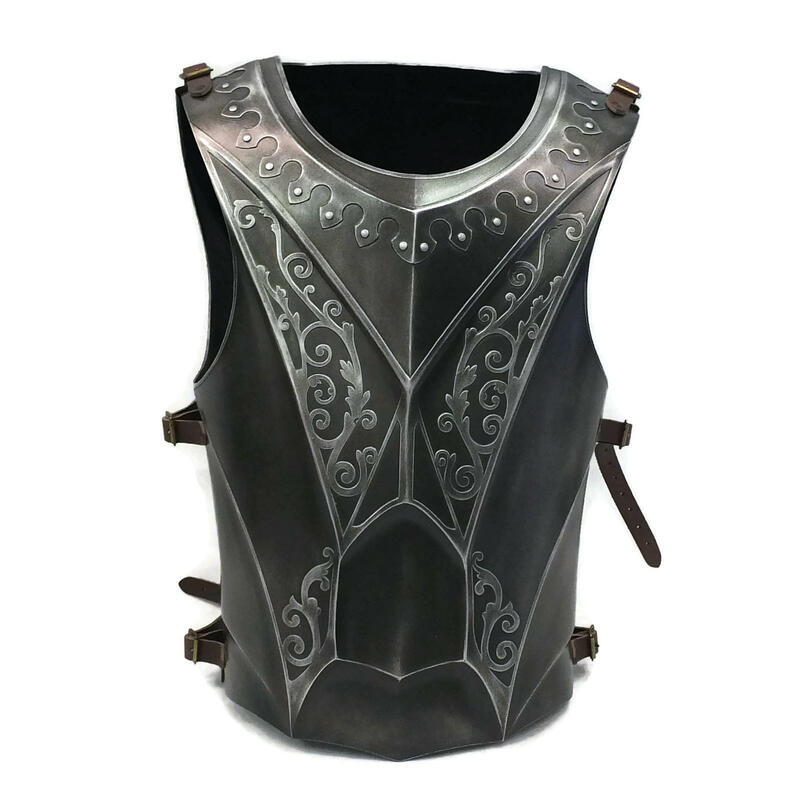 Pictured in Dark Steel finish. 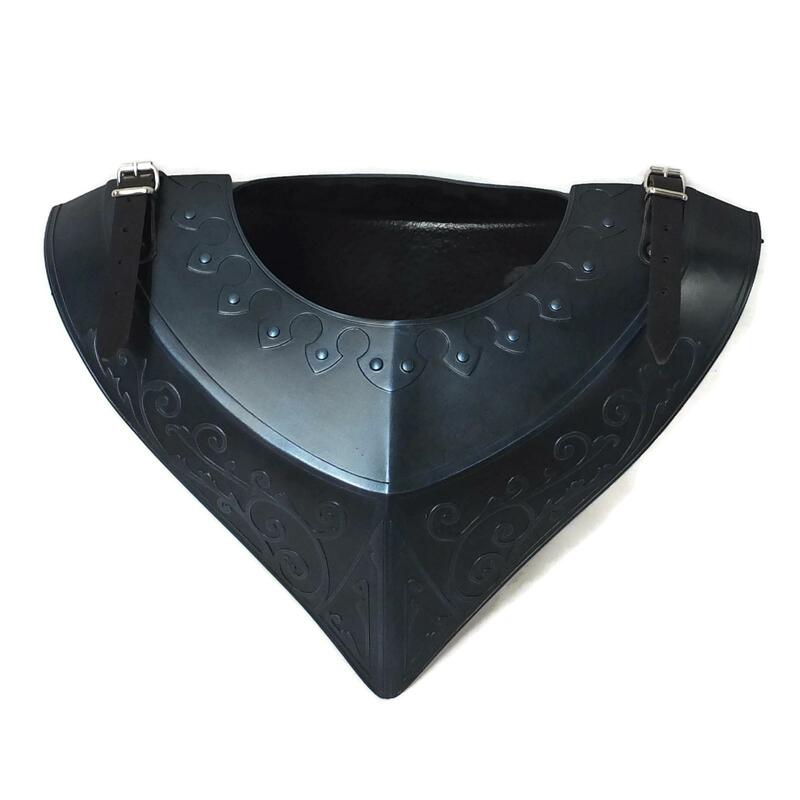 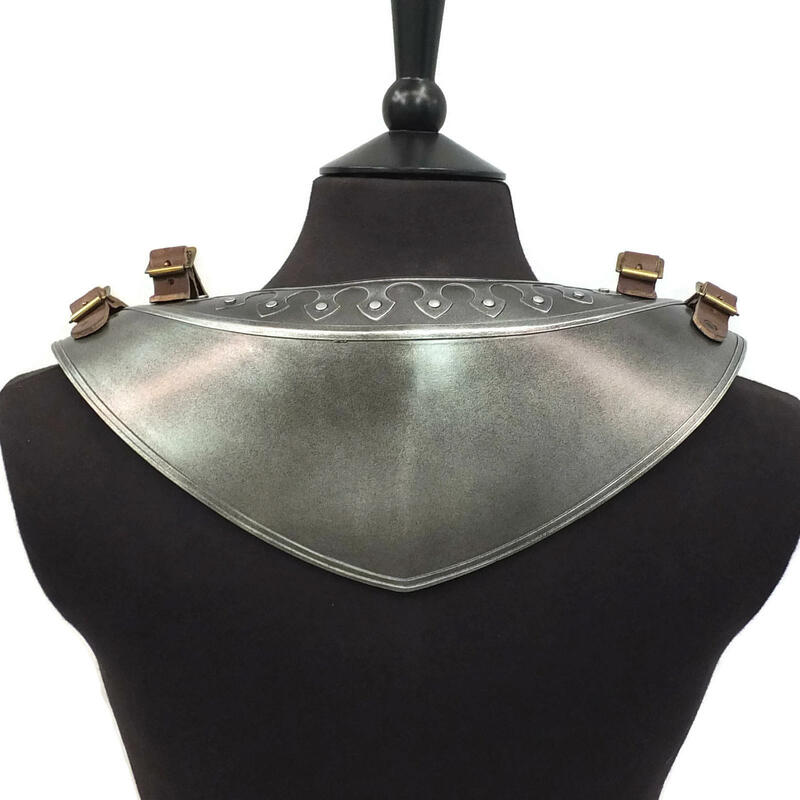 Beautiful Paladin Gorget designed by the very talented Jay Cooling from Dragon Armoury. 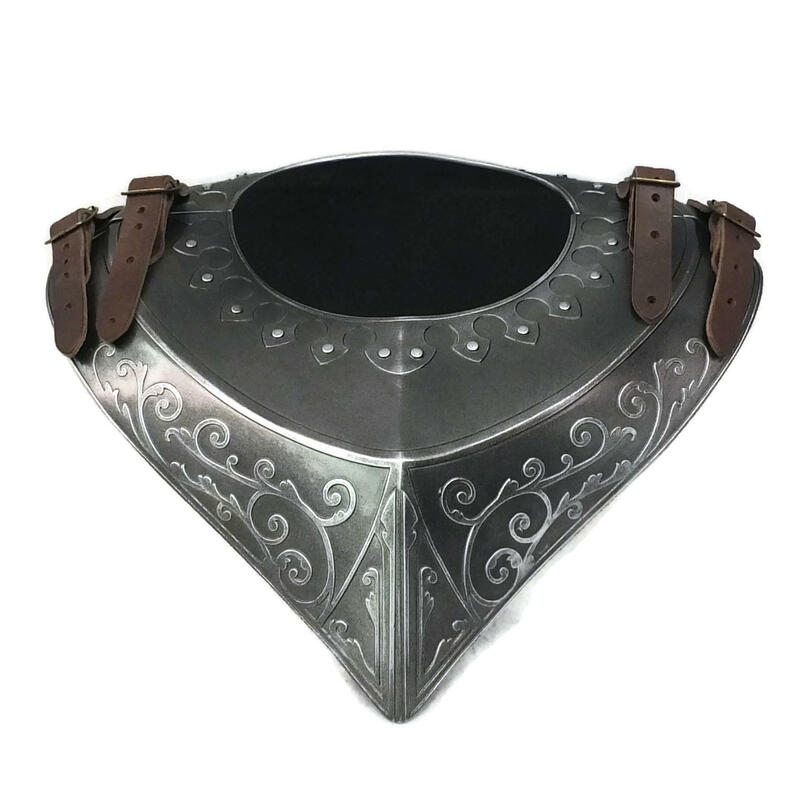 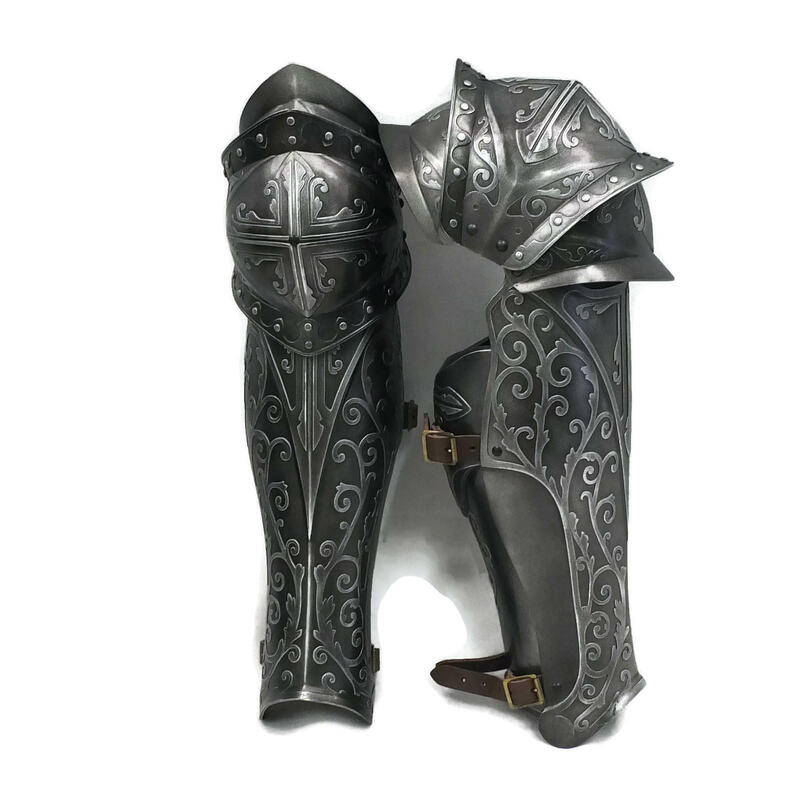 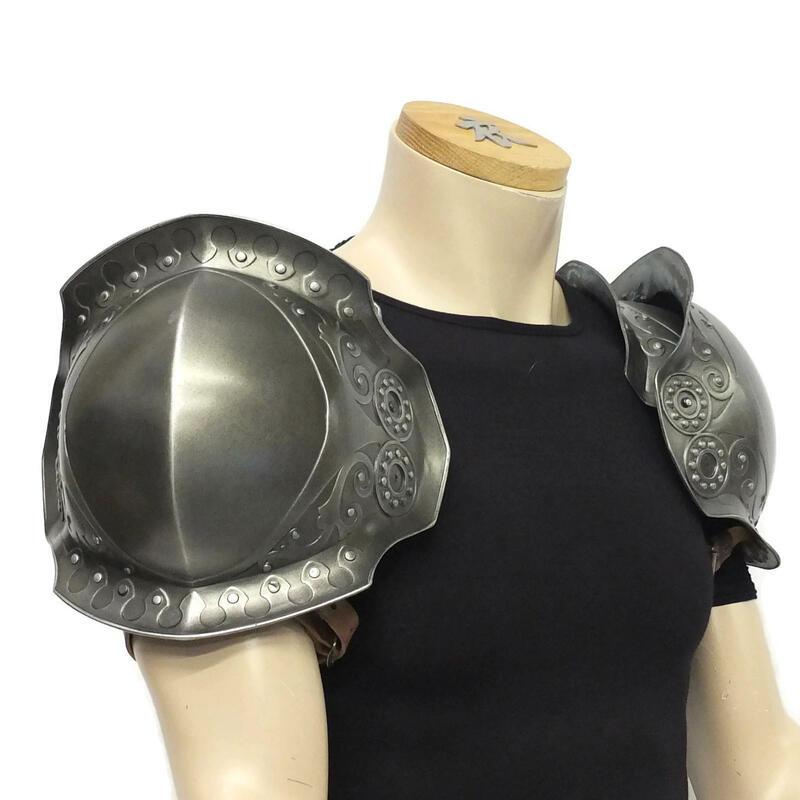 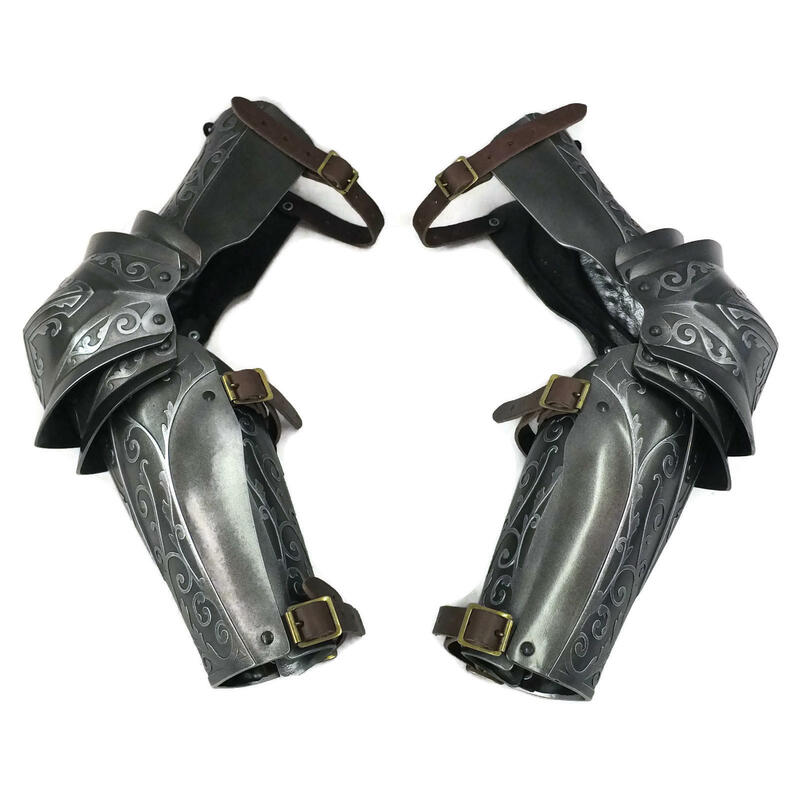 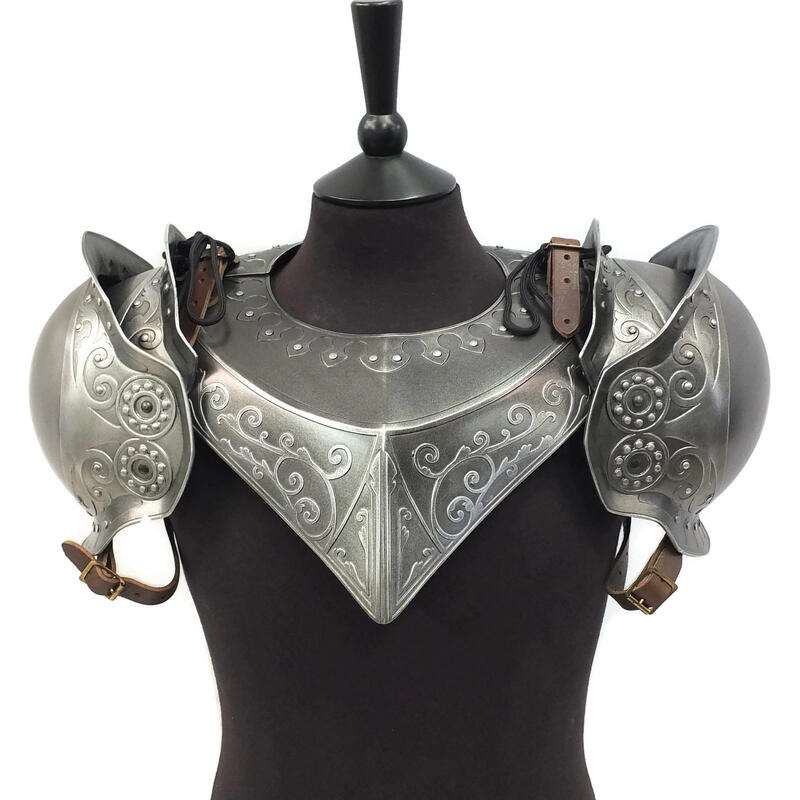 This set is part of a larger full Paladin Armour set which can be purchased as a whole set or in parts on this website. 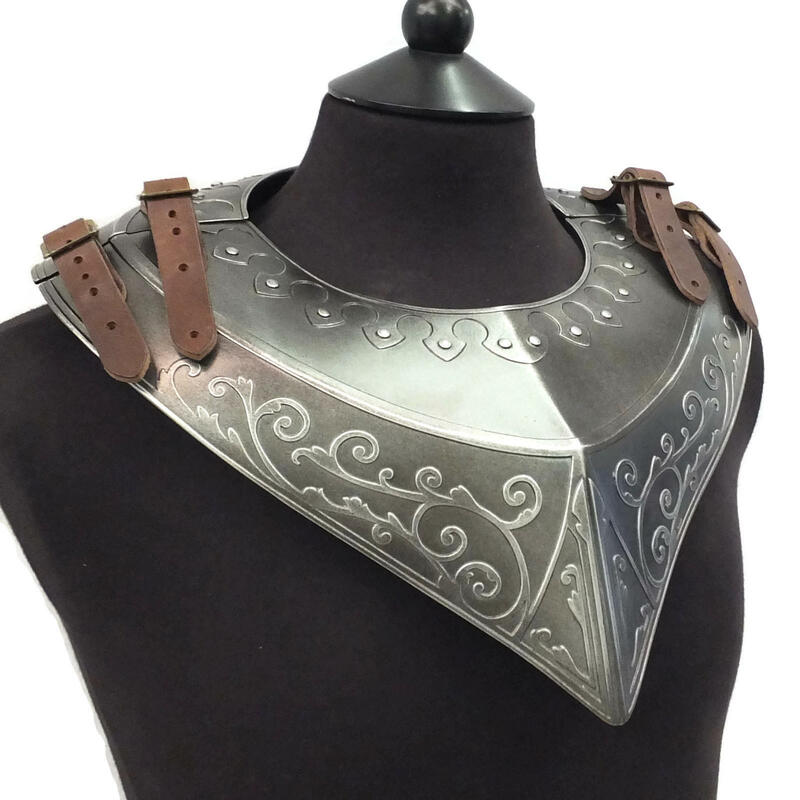 Complete with black leather straps (not brown as pictured).